This tutorial shows you PFlow Simulation and PFlow advanced data manipulation. How to setup a group of characters that are made of sand. Underlying is a Box#2 setup that will allow for breaking the sand men in chunks at a given time or event. KCMs are used to shade and dissolve the sand in variations of the effect. This tutorial is using the Particle Flow Toolbox #3, Thinkbox Krakatoa and Deadline for partitioning multiple layers of particles. (It is recommended to have caching tools like SuperMesher or XMesh). The video is 61 minutes long in 1280×720 WMV format and the download features the beginning and final max file. You will receive a download link for a ZIP file that contains the video tutorial in high quality 1280x720 WMV format and 3ds Max files that accompany the learning experience. All files are set up in 3ds Max 2010-64 bit. All used plugins were at the latest release at time of recording. Please keep in mind that downloads can be slow and files large so exercise patience please. Purchases ONLY available as digital download. After payment went through you will receive a unique download link dynamically generated just for you. Every purchased link has a lifetime of 48 hours to perform the download. 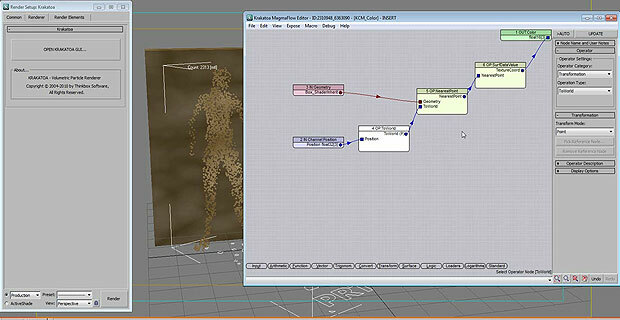 All scene files set up with 3ds Max 2010-64 bit.